When Travis, a 200 pound chimpanzee, brutally attacked 55-year-old Charla Nash in Stamford, Connecticut in Feruary 2009, lawmaker’s across the country were on notice about the potential danger non-domesticated animals, kept as pets, present to people. Not unexpectedly, shortly thereafter, a $50 million lawsuit was filed against the owner of Travis, Sandra Herold. 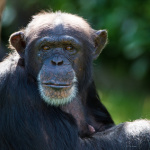 The lawsuit may very well affect animal bite law in Connecticut and other states, and revision of the Connecticut law, which currently states that a bite inflicted by a wild animal, such as a chimpanzee, is not encompassed by strict statutory liability, as in the case with dog bites. Thus, given the law as it currently stands, the owner of Travis will be liable only if she knew that Travis possessed dangerous propensities prior to the incident, or if her negligent handling of Travis was the proximate cause of the attack on the plaintiff. Given the publicity and concern this incident generated, lawmakers in Connecticut may be moving to the position that attacks by wild animals kept as pets are treated like dog bites: strict liability barring any mitigating circumstances such as provocation or assumption of risk. Owners need not know about any prior dangerous propensities in the animal to be liable for the injury inflicted by an animal they own or keep. On a national level, the attack also engendered concerns of Congress: shortly after the incident, the House of Representatives overwhelmingly passed a bill making it illegal to buy or transport primates across state lines to keep them as pets. The incident happened when Travis escaped from the defendant’s home, and according to news reports, she summoned Nash, a friend of some thirty years, to assist in capturing Travis. Travis knew Nash. Details of how the incident unfolded remain conflicting, however. Namely, if the attack commenced outside during the capture part of the sequence, or after the plaintiff came into the house of the defendant. Regardless, at some point, he viciously attacked Nash on her hands and face, and when police arrived, he tried to attack one of the officers, who in turn shot and killed Travis. The victim was severely mauled. She underwent several hours of surgery, suffered brain damage, lost her nose, sustained possible blindness, and for a time she remained in a medically induced coma. The defendant probably made the mistake of blaming the victim for the attack by stating that the attack happened because Nash changed her hairdo or because she was driving a different car, thus causing Travis to became protective. Initially, it was uncertain if she medicated Travisthe day of the incident, but subsequent lab reports confirmed that Travis was drugged. Prior to the incident, Travis was somewhat of a celebrity around town. He was featured in television commercials for Coca-Cola and Old Navy. Those who knew Travis say he was treated like a person: he drank wine from stemmed glasses, ate at the table, dressed himself, and was computer literate. However, there was also the dark side to this well-known chimp. Allegedly, in 1996 he bit a woman on her hand and then tried to drag her into a car. In 1998, he allegedly bit another person, and in 2003 he escaped from the defendant’s car and wandered into downtown Stamford, disrupting traffic. In 2003, a former animal control officer says he warned the defendant about the dangerous nature of Travis. Given the current law in Connecticut, the success of the plaintiff’s lawsuit may hinge on proving that the owner knew of Travis’ dangerous propensities, or that she acted in a negligent manner in the handling of Travis at the time of the incident.